If you have trees near your home, you might be wondering how long it takes for your gutters to fill up with debris. If you had them cleaned recently, how long can you stop worrying about them? 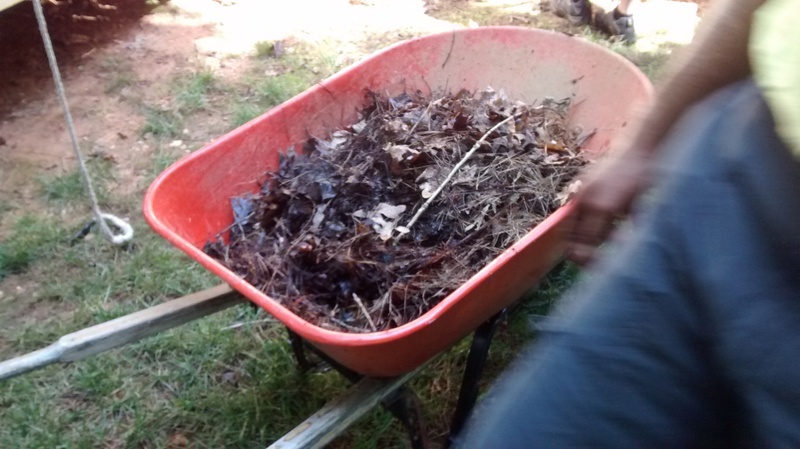 On Friday we removed enough debris to fill several wheelbarrows from just one house’s gutter system. It must have been a while since they were cleaned, right? 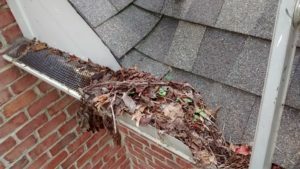 Actually, these gutters have already been cleaned once this year. 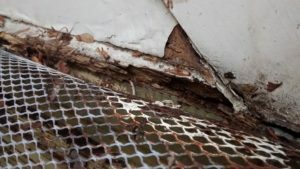 What if I have screens on my gutters, do I still need to get cleanings that often? 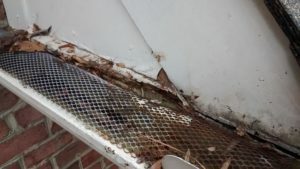 As you can see from this picture below, screens and deflectors keep the debris from going into the downspout… but at what cost? 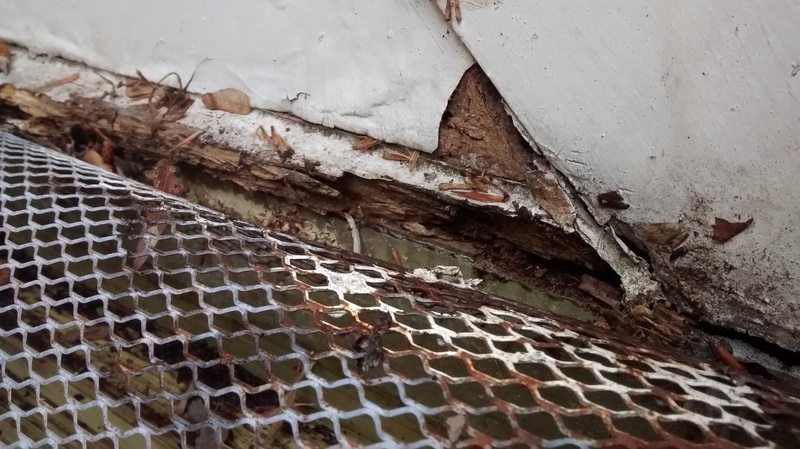 After removing the debris that seemed to be doing no harm, we found that the wood on the house was beginning to rot away. 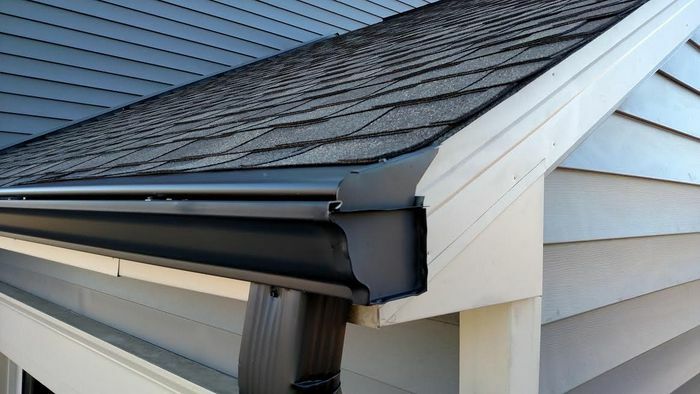 Unfortunately, without proper gutter covers, cleanings need to be done anywhere from one to four times per year. It can easily cost the average homeowner $500 dollars a year to keep their gutter systems operating properly. How many years do you plan on staying in your home? After our team installs LeavesOut, your gutters will never have to be cleaned out again… EVER! We are so confident in our product, we back it with a LIFETIME no-clog guarantee.